After a record number of Aboriginal candidates participated in the last federal election, just how browner is Canada’s parliament? As you can see in this updated ‘Who’s Who’ of Aboriginal politicians in Canada’s Parliament, the numbers have risen slightly, but the biggest gains have been within the Conservative ranks. Read on! 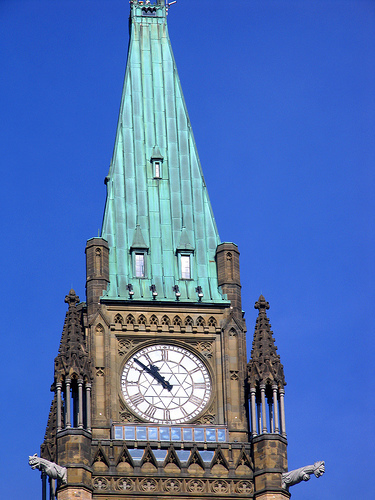 Made up of 308 (By 2012, this number will rise to 338) Members of Parliament (MPs), the House of Commons is arguably the most visible arena of Canadian politics. It’s where bills are born and often fiercely debated (until they die because of prorogation). But just how many Aboriginal voices ring across those hallowed halls? Good ask! A total of 31 Aboriginal MPs have been elected to the House of Commons over the years, beginning with Conservative member Angus McKay (Metis) way back in 1871! Check out the full list on the Parliament of Canada website. So how many Aboriginal people are in the Senate? Glad you asked! As of December 2011, just six of the 105 (non-elected) Senators are Aboriginal: two Conservative, two NDP, two Liberal. How balanced! Four members, or a third, of this 12-person Committee are Aboriginal.